One common complaint about CPF is its “untouchability”. Due to its restrictions and specific uses, the savings put into the CPF can often be left untouched until one is turning 55 years old. On the other hand, there are also a number of Singaporean who find the restriction to be beneficial. After all, the purpose of CPF is for retirement and how can one have sufficient savings should they allowed to spend as and when they like? Additionally, CPF provides interest rate that are adjusted for inflation and is higher than your typical fixed deposit rates. Nonetheless, you might prefer to have higher returns by taking investing into your own hands. In this article we will walk you through how to invest using your CPF money. That means if your Ordinary Account has $20,000, and the other accounts have a combined $40,000 total, you earn an additional 1% interest rate. What further makes the CPF’s interest rates more decent is that you don’t have to worry about any downside risks at all. CPF monies are invested by the CPF Board in Special Singapore Government Securities (SSGS) issued and guaranteed by the Singapore Government. This backing by the Singaporean Government itself makes the CPF risk-free and very reliable. 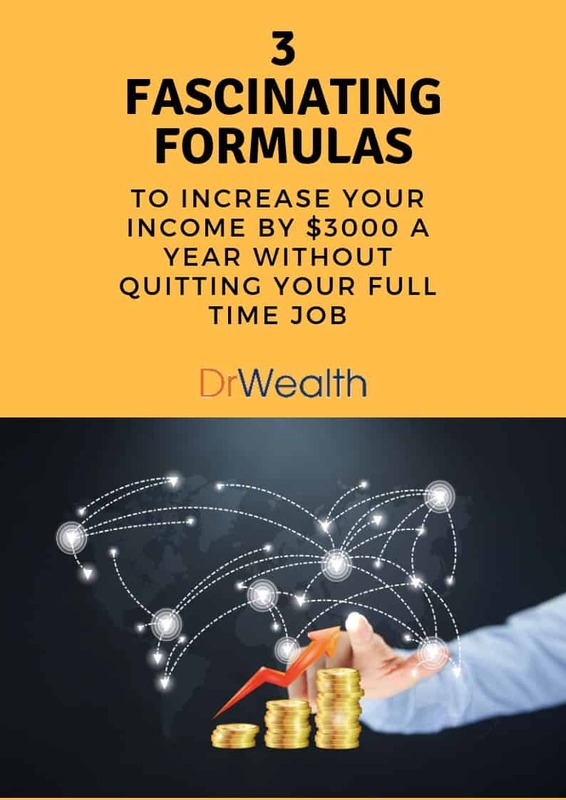 Now that we have covered that, you would definitely know by now what are the rates entailed once you invest your CPF money (Ordinary Account (OA) and Special Account (SA). And to invest means to make use of the investment scheme under CPF itself. Members of CPF are given the option to create a CPF Investment Scheme (CPFIS). This allows them to use their CPF balances to invest in a number of financial instruments. These instruments would be further discussed in the following points. You will be able to use up to 35% of your investible savings into these instruments. 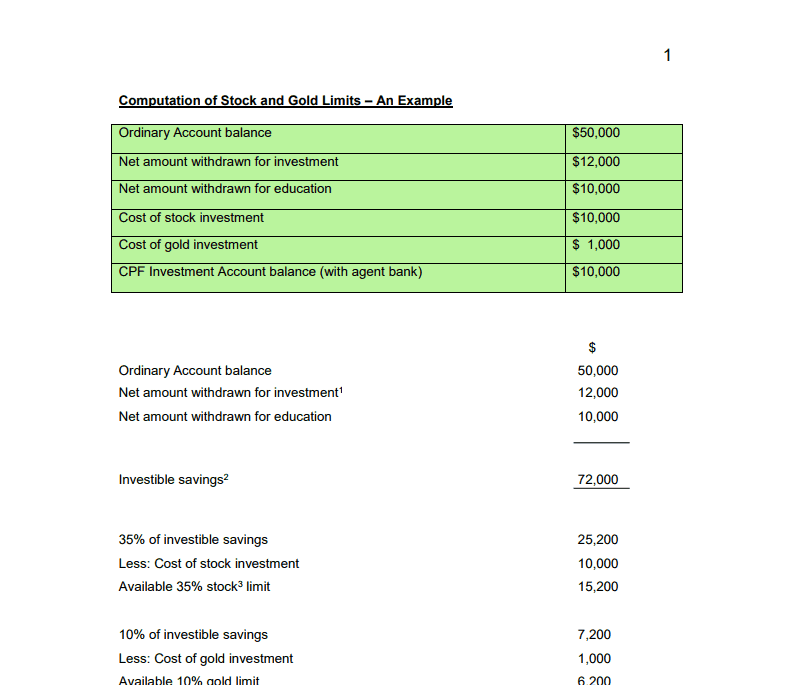 The investible savings are the amount above $20,000 in your OA and $40,000 in SA. Aside from being a working Singapore Citizen and/or Permanent Resident, you have to be at least 18 years old to avail the CPFIS. You must not be an undischarged bankrupt. Instead, you should have enough money in your CPF Accounts. The minimum amount required on your account would be, as stated above, are $20,000 in your OA and/or $40,000 in your Special Account. It depends on you whether you want to invest in one or two accounts; both of which you need to have the required amount. Furthermore, once you decide to invest money from your OA, you will need to open a CPF Investment Account with POSB, OCBC, or UOB. It does not matter what bank you choose to open your Investment Account with, since the fees and charges are the same for all of them. Also, the banks are only there to administer the funds. You will need to have a brokerage account to actually invest the money. For this, you don’t need to be with the same bank as your chosen CPF Investment Account. When investing your SA, banks and brokerage are not necessary. About your investment returns, should you decide to invest, any amount gain from the investment will return back to your CPF accounts. The purpose, of course, is to encourage Singaporean to save for retirement. On your end, if you want to invest, you should think about investing with the future in mind. Since you will likely to yield the benefit only 20 to 30 years later presuming you are a young adult. It must be noted that your desired financial instruments to invest are dependent to the type of accounts you are using. Above all of these things, you must know that the money used from your OA can only be for investments under the CPFIS-OA. The same goes with your SA where investments done using it can only be for CPFIS-SA investments. You are not allowed to combine them for one product. However, if you are at the Retirement Account age of 55, you can transfer funds from your OA to your SA to invest using your CPFIS-SA. This process is irreversible. You can’t put the money back to your OA. So make sure that you have thoroughly examined your decision before doing anything. Lastly, the total savings in the SA with the amount withdrawn under CPFIS-SA must not exceed the CPF Minimum Sum after the transfer. This sits at $161,000 as of July 2015. As the popular saying goes, “the more choices, the more chances of winning”. This is greatly echoed by experts who usually advise investors to diversify. It is to invest your money in different products to spread out your risk. If ever something bad happens with one product, then you can hopefully wait for the rest to not turn out like that one. This helps balance out your overall portfolio. If you want to diversify, on way to do that is by buying into different asset classes. You must keep some money in lower-risk investments that are safer, while some at higher-risk. 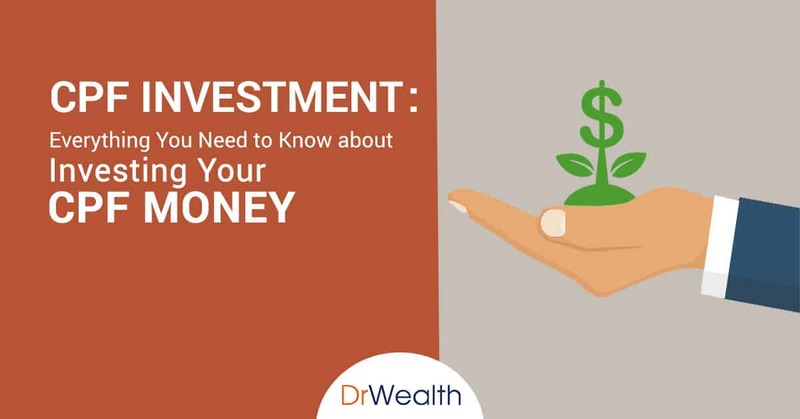 To keep track with your investments, the best way would be to regularly check the portfolio statement your agent bank or product provider sends to you. It also helps to have these agents or broker to be someone you can trust to help you and give advice. If you are not sure of this, then it is better to self-learn. Keep yourself updated with the current trends of the market. What are the ups and downs that affect your investment and how volatile are the products? Unfortunately, withdrawing the profits made from investments under your CPF accounts is prohibited. As with the purpose of CPF, it is to build up your retirement nest. Your profits will be left with the CPF Account. Therefore, everything you profit can only be withdrawn if it falls under the CPF Account’s purpose. On a positive note, your earned investment/s and dividends profits’ interests will not be taxed. You can fully get the total completely. When you find that you are losing your CPF money from your investments, then we’re here to tell you not to panic. Your losses just eat up your retirement funds. However, you don’t need to stop your CPF completely. The money left on your CPF accounts are better left alone. You just have to let your money sit in your accounts and allow it to naturally earn their above market interest rate. With the high interest rates offered by the CPF, you can be assured that the money you lost will slowly increase in time. But this doesn’t mean that you should continue squandering your money away. You should also learn how to save up. At the end of the day, you will have to use your retirement funds and it would be better to actually have some money to expect. We have always known that our CPF savings are only accessible to us; and that its interests, profits, and returns are guaranteed by the Singapore Government. This means no other financial entity or individual makes money from your decision. Brokerage firms will generate revenue from the buying and selling of stocks that you made. Insurance companies will earn profits from ILPs or investment-linked insurance products or endowment plans that you buy. The agents from these insurance companies get their commission from selling you these plans. Fund managers will then earn management fees when you buy into their unit trusts. With everything explained above, it is therefore not difficult to understand why the financial industry is so eager to have you invest your CPF money. They will do literally anything to entice you to invest with them. Since the funds in CPF rarely gets used unless for specific purposes like retirement, most Singaporeans find investing their money as an easy option. For them, it feels like investing money is not much compared to the cold hard cash in their bank accounts. But the thing is, the CPF actually earns a higher return than the money they have in their banks. That is why it is important to take care of their CPF funds. You should make sure that the decisions you made are both wise and logical. After all, your retirement fund is on the line. Is a person allowed to attending AGM using CPF money? I was told it is possible now.